This is the most common type of massage therapy. Massage therapists use long smooth strokes, kneading, and circular movements on superficial layers of muscle tissues using massage lotion or oil. Generally, Swedish massage techniques are used in a session geared towards relaxation and general muscle tension relief. Deep tissue massage targets the deeper layers of muscle and connective tissue. The massage therapist applies slower strokes or friction techniques across the grain of the muscle. Deep tissue massage is used for chronically tight or painful muscles, repetitive strain, postural problems, or recovery from injury. People often feel sore for one to two days after deep tissue massage. Pre-natal massage can be very helpful easing the discomforts of pregnancy. Massage can help with low back tension, hip pain and sciatic problems, anxiety or depression and can increases blood flow which brings more nutrients to the mother and baby. Pre-natal massage is gentle and soothing and is a wonderful way for a pregnant woman to relax and feel comfortable in her rapidly changing body. Thai massage is a form of bodywork that uses compression, movement and stretching of the muscles to retrain muscle fibers to move from dysfunction, which causes pain in the body, to functional and healthy. The therapist uses their feet, knees, elbows and hands to release and relax muscles. It is done on the floor on a mat and the client is fully clothed, wearing comfortable, stretchable clothing, such as yoga pants and a t-shirt. We highly recommend Thai massage for those dealing with chronic pain issues or general muscle tightness. 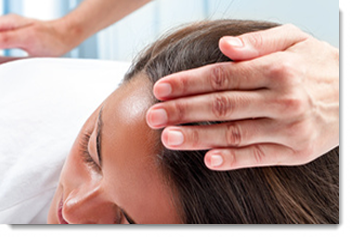 Some conditions that can benefit from regular Reiki sessions: pre and post operation times, chronic or acute pain such as arthritis or fibromyalgia, fatigue, grief, headaches, physical injuries, vertigo symptoms, effects of daily stress and anxiety, or perhaps you are desiring assistance with meditation. Reiki supports emotion, mind, body and soul and it’s helpfulness is vast, beyond these suggestions. Reiki assists with overall well being because it works with your endocrine system in cooperation with the parasympathetic nervous system which signals your body to relax and recover. Reiki (Ray-key), Japanese in origin, means “universal life energy” and is administered by “laying on of hands” or light touch. Though beneficial for many imbalances the common thread is reducing stress setting up the mind and body for increased relaxation which in turns allows for healing. Dress comfortably and be prepared to give yourself a well deserved session of a guided one-on-one time with yourself. A Reiki session with Tina (Sacred Heart Serenity) is a unique combination of natural and refined techniques brought together and administered through empathic guidance. If you so desire the possibilities, you have the opportunity to allow the channeled energies to engage you through personal feelings while releasing what no longer serves you all the while opening your path from within to greater relaxation promoting inner peace and well being. Chi Nei Tsang is a Taoist abdominal massage technique that promotes well being on physical, mental and emotional levels. It addresses the internal organs and trains them to work more efficiently by gently massaging them. Poor digestion is often a cause of ill-health and Chi Nei Tsang helps digestive health and elimination. It can stimulate all vital systems of the body, including digestive, respiratory, lymphatic, nervous, endocrine, urinary, reproductive and muscular. It helps to unblock stagnant chi or energy and moves physical and emotional blocks to health. Relaxing the abdomen can help unwind the entire body. This is deeply healing and relaxing work.